Transaction Costs - Davie, FL Title Company | 1st Trust Title, Inc.
1st Trust Title, Inc. specializes in residential and commercial title insurance, real estate transactions and mortgage closing. Below you will find costs associated with a typical real estate transaction. Note there may be additional costs depending on the type and uniqueness of the transaction. Responsibility for payments of certain title charges and other costs may vary from County to County or by Contractual agreements made between the parties to a transaction. For a free quote, contact us at info@ClosingAgent.land or call us today at (954) 587-1033. Doc. Stamps on Deed ($.70 per $100 of purchase price) (Dade County Residential $.60 per $100 of purchase price). Tax proration/Association(s) proration to date of closing (if applicable). Satisfaction of Liens, Special Assessments and Mortgages. Recording fees to clear title (i.e. Sat. of Mortgage: $10 for first page + $8.50 for each additional page). Municipal lien and tax search fees. Settlement fee/ Document Preparation fee. Electronic Recording fees *most original documents never leave our office for recording. Recording fees for Deed, Association Approval, etc. ($10 for first page + $8.50 for each additional page). Owners Title Insurance (at minimum promulgated rate). Prepaid maintenance or recreation fees (if applicable). Prepaid Homeowner’s/Flood Insurance (if applicable). Settlement fee and Abstract Cost. Tax prorations/Association(s) proration from date of closing (if applicable). Payoff existing mortgage(s) and recording fee(s) for satisfaction of Mortgage(s). Recording fees for Deed, Association Approval, Mortgage ($10 for first page + $8.50 for each additional page of the document). Loan origination and related lender charges. Doc. Stamps on Note (at $.35 per $100 of loan amount). Intangible Tax on Note ($.20 per $100 of loan amount). Simultaneous issuance of Lenders Title Insurance. Prepaid Homeowners/Flood Insurance (if applicable). Escrows (if required by lender). Tax proration/Association(s) proration from date of closing (if applicable). Transfer fee and costs as per contract. Please check with the lender as they may require approval of the buyer, increase in the interest rate and assumption and approval fees. Mortgage transfer fee (see 7. above – Mortgage Assumptions – Typical Charges to Seller). Owners Title Insurance @ minimum promulgated rate. Doc. Stamps of principle balance (at $.35 per $100 of loan amount). Intangible Tax of Note ($.20 per $100 of loan amount). Recording Fees for Deed, Condo Approval, etc. ($10 for first page + $8.50 for each additional page). Tax proration/Association(s) proration of date of closing (if applicable). Pay off existing mortgage(s). Recording fee(s) for satisfaction mortgage(s). Non-allowable buyer costs per FHA/VA. 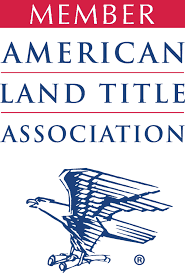 Title endorsements ($25 each + Florida form @ 10% of Owners and Mortgagee Title Insurance premium). Doc. Stamps on Note ($.35 per $100 of loan amount). Intangible tax ($.20 per $100 of loan amount). Recording fees for Mortgage and Deed. VA Funding Fee/Upfront Mortgage Insurance Premium. Tax proration from date of closing (if applicable). Prorations of Maintenance fees and services contracts. Doc. Stamps on note (at $.35 per $100). Note: There may be other costs in real estate transactions which are unique to the transaction. Call us for a free quote. 1st Trust Title, Inc. specializes in title insurance, escrow and other real estate closing services for residential and commercial real estate purchases/closings. 1st Trust Title, Inc. is an approved agent of Old Republic National Title Insurance Company and Chicago Title Insurance Company. 1st Trust Title, Inc. is headquartered in Davie, Florida at 7320 Griffin Road, Suite 109. For additional information please call (954) 587-1033.